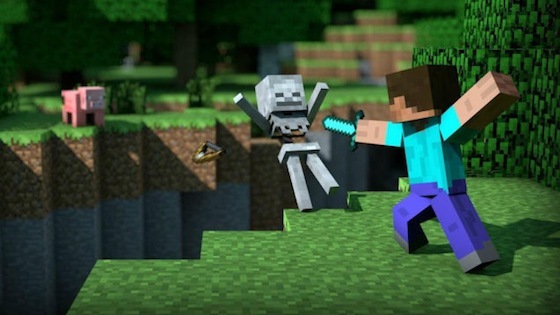 The announcement this week that Telltale Games are turning to one of the most popular video games of all-time, the Mojang-developed Minecraft, for their latest series came completely out of left field. With little details emerging other than a promise to make the game “an entirely new Minecraft experience” that still manages captures the spirit of the massive sandbox title, speculation has been rife as to what exactly gamers can expect from Minecraft: Story Mode's 2015 premiere. With several members of our staff here at Power Up Gaming classing ourselves as diehard fans of both Minecraft and Telltale, we're discussing today whether or not we think the game has serious potential to become another masterpiece in interactive storytelling, or if it's simply a shameless cash-in. Do we think The Walking Dead developer have bitten off more than they can chew, or has Minecraft's freedom handed them a great opportunity? 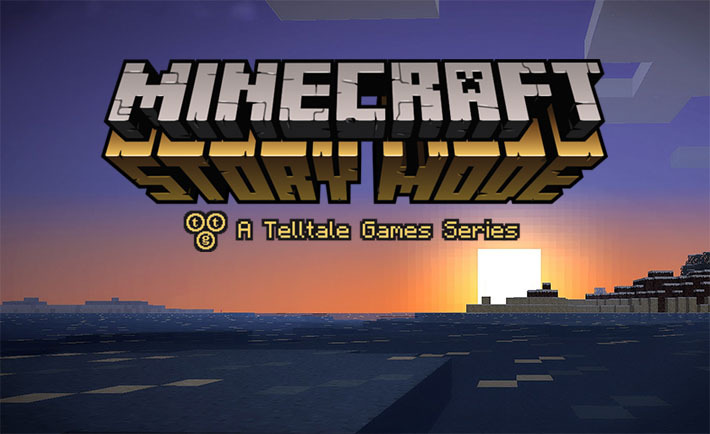 Harry Bowers: Telltale’s announcement of their latest series, Minecraft: Story Mode, comes as pretty topical to me, because Minecraft PS4 is just about all I’ve been playing for the past few weeks. I’ve fallen deep into that block-sized hole all over again. For this reason, the announcement has filled me with equal parts dread and optimism. On one side I see a game completely unconducive with the Telltale treatment; but on the other, I’m looking at two studios responsible for some of gaming’s greatest adventures. “Telltale’s other games are awesome, but they’re usually set in universes packed with cool characters and narrative arcs. Minecraft doesn’t have those things. That, for me, is where the premise starts to get shaky. Will the cartoony antics of Steve and his whole block-headed entourage be able to recapture the emotional heft that Telltale have been acclaimed for? It’s pretty unlikely. What little information we currently have all seems to point towards a very different game to what we’re used to. For Telltale, this is uncharted territory. 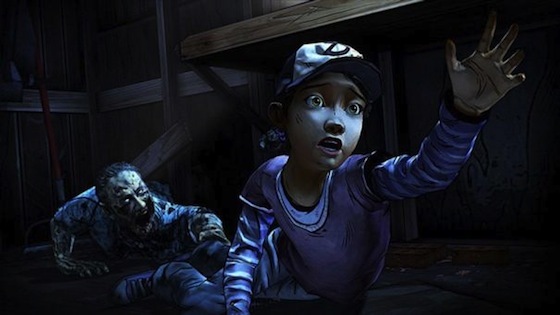 What’s going to keep die-hard Telltale addicts coming back for more? Telltale need to master a radically different form of entertainment, fast. To make things even harder, they have to do so in a way which will keep players compelled for upwards of a six-month release window. Telltale have built themselves a huge mountain to climb; the methods unknown and results uncertain. But, in some weird way, it feels right exactly because of this. Telltale proffered acclaim back in 2012 with The Walking Dead: Season One because they did something no one else was really doing. Moreover, it was truly fantastic. The birth of Minecraft: Story mode strikes me as nothing less than a bold continuation of this rich legacy. Outside of the comics, outside of the show, The Walking Dead completely stood up by itself as an unforgettable narrative. Why can’t Minecraft: Story Mode do just that, too? Of all the projects Telltale have undertaken in the past, Minecraft offers the most opportunity for creative license. Watching the proven minds behind Telltale get that little extra leg room to be even more brilliant is an exciting prospect. Even more importantly, Minecraft: Story Mode marks these guys taking one more timid step toward crafting their very own IP. So, no matter what the outcome, I can’t help but look eagerly at Minecraft’s latest iteration as one big golden promise of future brilliance. I don’t for one second doubt that Minecraft: Story Mode will be a good game; but I worry that, thanks to the nature of the beast, it won't quite reach the ‘great’ heights that we have come to expect from Telltale. I anxiously wait to be proven wrong. Chris Mawson: Like so many others, Mojang and Telltale's announcement of Minecraft: Story Mode took me completely aback earlier in the week. My first reaction was to check the calendar… nope, definitely not April 1. As a great lover of both Minecraft and Telltale's narrative-rich adventure series, including The Walking Dead and The Wolf Among Us, you'd think I'd be overcome with excitement at the news. And though while I am looking forward to seeing where the developers go with the concept, my position is more that of a cautious optimist. With Telltale's recent releases in Tales From the Borderlands and Game of Thrones, I was already beginning to question whether or not the time is nigh for the developer to try their hand at their own IP, rather than cashing in on (though admittedly treating successfully, and in many cases, reinvigorating) an existing franchise. Their announcement this week further provokes my skepticism. On the other hand, while the developer could be accused of playing it safe by turning to yet another popular property for their latest effort, little else gives them as much freedom to put their own stamp firmly on the game as Minecraft is able to. Yes, it's undoubtedly and transparently a cash-in that Telltale will hope will draw in Minecraft's gargantuan audience. 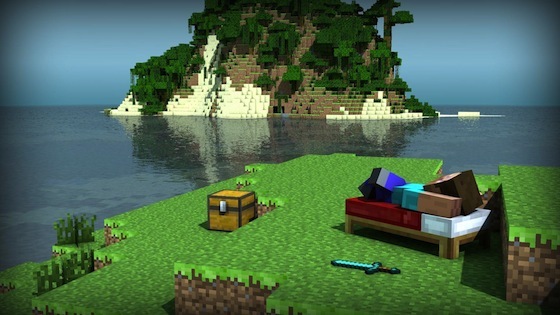 But with a proven track record and clear respect for the fans of Mojang's title – collaborating closely with the developer and promising to take on board the ideas and wishes of game's existing fan base – I'm looking forward to seeing what they're able to do with the themes and ideations expressed in the hit sandbox game. To create a game that adequately lives up to the Minecraft name is a massive undertaking. But if anyone can pull it off, Telltale can. Scott Russell: Ever since playing Tales of Monkey Island, I've loved Telltale's awesome brand of story-centric adventures; that one in particular had some hilarious moments of piracy. They may dabble around with clunky mechanics, but in no way does that diminish their expertise in producing games that grip, shock and amaze. The Walking Dead and The Wolf Among Us are just two instances that highlight Telltale's ability to deliver wonderful experiences with varying themes and styles. This can only be a benefit for Minecraft: Story Mode, especially when you consider the blocky, and abstract, nature of the source material. Invigorating different intellectual properties is definitely Telltale's bag. The Walking Dead franchise is no lacklustre affair by any means, but the story of Lee and Clementine brings life to a world that is solely at its best in the static pages of a comic book; Fables (the series on which The Wolf Among Us is based) has been significantly improved upon through a deliciously smooth art style and a brilliant cast of fairytale denizens; and the already frantic suspense of Game of Thrones has increased thanks to Telltale's pressing, and oppressively frenetic, systems of choice. Minecraft is a game that houses a universe; it's infinite. But Story Mode could bring something that adds to its infinity: a truly fascinating and original narrative. Now, I have no idea what that could entail; it could lead me on a trail to make some tough decisions regarding sand, but don't take that as gospel. Though there is one thing that I am certain of: it that will contain heart, excitement and a whole load of Minecraft charm. Oh, and that clunkiness I mentioned before? Perfect for shambling over blocks.